Sony without Ericsson. Xperia S a couple of cores short and a year late to the flagship party. Doubters may still have a point there but the Xperia S has more things going for it than against. 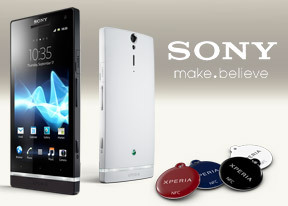 With a top-notch camera and excellent screen, standard microHDMI port, very good audio quality and plenty of storage, the Xperia S will readily meet your multimedia needs. We didn't run into a situation where the available processing power wasn't enough, so for the time being the dual-core vs. quad-core argument seems like a matter of pride rather than performance. Sony are trying to infuse their phones with the company's innovative spirit and they've done interesting things with the NFC connectivity and the close integration with other multimedia devices in the house. The TV launcher that can be controlled with the TV remote was quite clever we thought, but in typical Sony fashion, you're likely to run into compatibility issues (unless you have a BRAVIA HDTV). The Sony Xperia S is aggressively priced, and offers a lot of bang for the buck. Still, there are plenty phones that would like to challenge it. 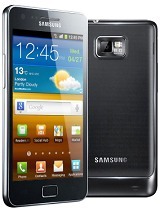 The Samsung I9100 Galaxy S II is one - getting old now, but still very capable and with a price that has fallen over time. You can check out our dedicated Xperia S vs. Galaxy S II article for a more in-depth look at how these two stack up. Just be wary of the I9100G version, which trades the Mali-400MP GPU for a less capable one. The Samsung I9250 Galaxy Nexus is a fine choice if you're looking for a roomy 720p SuperAMOLED screen and it will keep you at the cutting edge of Android OS versions, but it has its own restrictions (5MP still camera sounds like quite a tradeoff). If you're reading this in the US, then the Sony Xperia ion for AT&T is what you're looking for - it's a lot like the Xperia S (including the 12MP camera), but the 720p screen is bigger (4.55"), the built-in storage is only 16GB (but you get a microSD card slot) and as an extra bonus, there's LTE connectivity. It's yet to be launched, though. Speaking of US carriers, Verizon's HTC Rezound is as close a match as it gets specs-wise. It's got the 720p 4.3" S-LCD screen, the same Snapdragon chipset, topped with LTE connectivity and an iBeats headset. The LG Nitro HD / Spectrum VS 920 duo offer similar specs and are available on AT&T and Verizon respectively. If you're willing to wait, HTC will tempt you with the One S and its 4.3" qHD SuperAMOLED screen, a more powerful chipset and at 7.8mm slim body. The Huawei Ascend P1 should be coming out soon too and packs the same SuperAMOLED screen in a body that's a hair thinner - 7.7mm. The GPU is a step back from what the Xperia S offers though. And one you don't have to wait for - the Motorola RAZR XT910 - will offer the same qHD AMOLED screen (it turns out they're quite popular), a similar chipset to the Ascend P1 and it's thinner still - 7.1mm, with the cool Kevlar back for added style. You're probably wondering why we say nothing about the cameras - the Xperia ion aside, all of those phones are 8MP shooters. Some even offer good image quality, but if you want 12MP resolution, then the Xperia S and the Xperia ion are your only choice. We'd be remiss if we didn't mention the HTC Titan II - it has a 16MP camera, but it's yet to come out, with worldwide availability not even officially confirmed just yet. The 4.7" WVGA screen (not to mention the WP7 OS) will cause many to look away, too. Then there's the Nokia 808 PureView of course, the cameraphone. The 42MP image sensor sure sounds great, but we run into the same issues: yet to launch, low pixel density (nHD resolution on a 4" screen) and the not so hot OS - Symbian. The list of alternative phones got longer than we planned, but it actually makes a good case in favor of the Sony Xperia S. It can stand up to so many different phones - old, current and upcoming - that Sony can pat themselves on the back for a job well done, as they change their marital status to happily divorced.